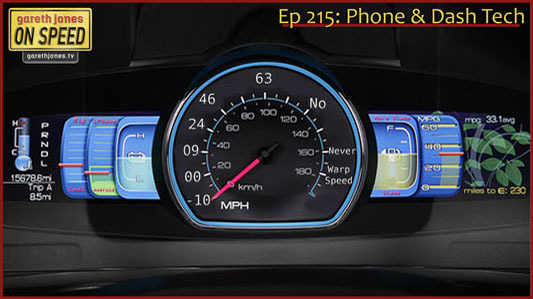 #215 Phone technology in cars. How far have we come from Lou Grade’s car phone? What do we want, and what don’t we want? Digital read-outs vs analogue dials. Plus Sniff Petrol on car apps, engineers’ shoes and new “rude F1”.